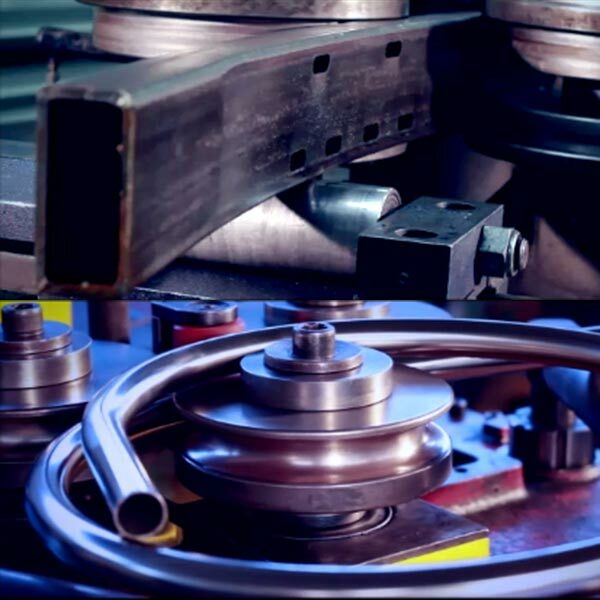 Tecnocurve offers its services as your partner in the field of pipe bending thanks to the use of the latest generation of CNC machinery which can cold bend pipes with round cross sections having a maximum diameter of 139.7 mm and maximum cross section of 120×120 mm for square or rectangular pipes. 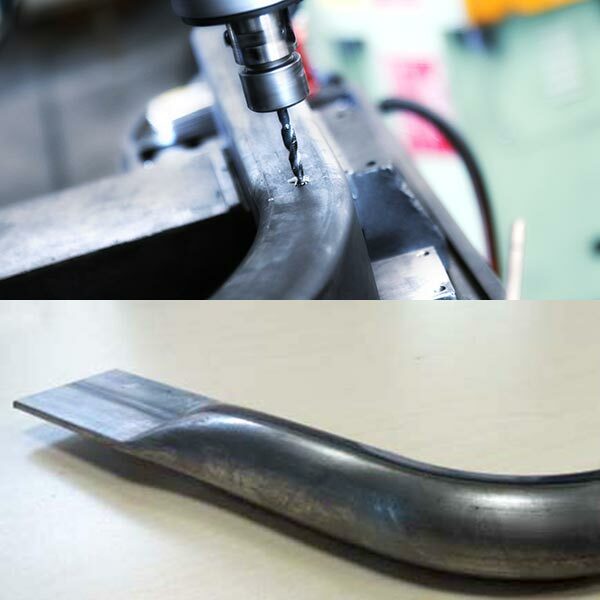 With its long experience, Tecnocurve is able to produce bends on laser-tube pre-processed parts, a more efficient way to carry out processes that would otherwise require a much more burdensome production process. 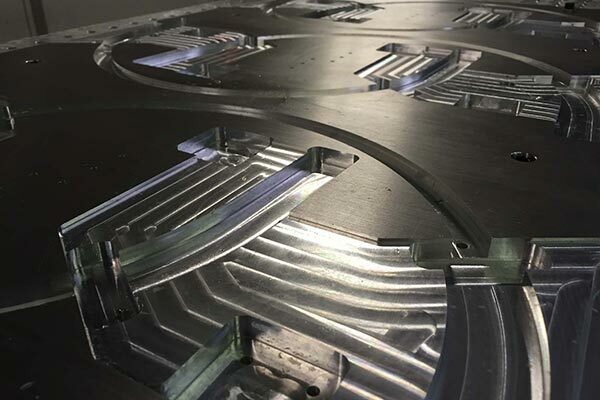 With the aid of our advanced technology and a trained technical staff, we are able to process parts that have already undergone lathing, contouring and threading. As regards roll bending pipes, i.e. bending pipes with a relatively wide radius, Tecnocurve can process pipes up to a maximum of 154 mm diameter for round pipes and 120×120 mm cross section for square/rectangular pipes. Open or closed section bars in aluminum or structural steel can also be calandered (UNP, HeA, HeB, IPE etc.). Also in this case, roll bending sections after they have been pre-processed by laser enables Tecnocurve to satisfy any request of the market, making it the leader in its sector. 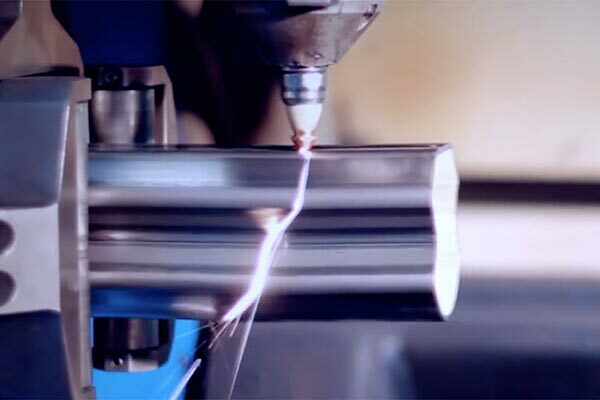 The cutting department disposes of advanced automatic cutting machine, as well as an innovative Lasertube machine with 6 controlled axes for the production of holes and other complex processing already on the cut bar. The cross sections of pipes that can be processed range from a minimum of 12×12 mm to a maximum of 150×100 mm for rectangular or square section bars and Ø12 mm to Ø139.7 mm for round sections. The maximum thickness that can be processed will range from 10 mm for S235/S355 steel, to 8 mm for stainless steel and 6 mm for aluminum. In its desire to provide even more service to its clients, recently Tecnocurve added a numerically controlled work center to its fleet of machines. It works with 3 controlled axes with a usable area of 2000 x 850, and can perform operations such as drilling and milling on parts already bent. Aluminum section bars, three point connectors normally used in agriculture, glide rails and much more are routinely handled by these machines which, with the aid of specialized operators, can satisfy all the needs of Tecnocurve’s clientele. Speed of tool change from the machine magazine and an automatic feeler for measurement of the processes guarantee precision and dynamism to the entire production process. 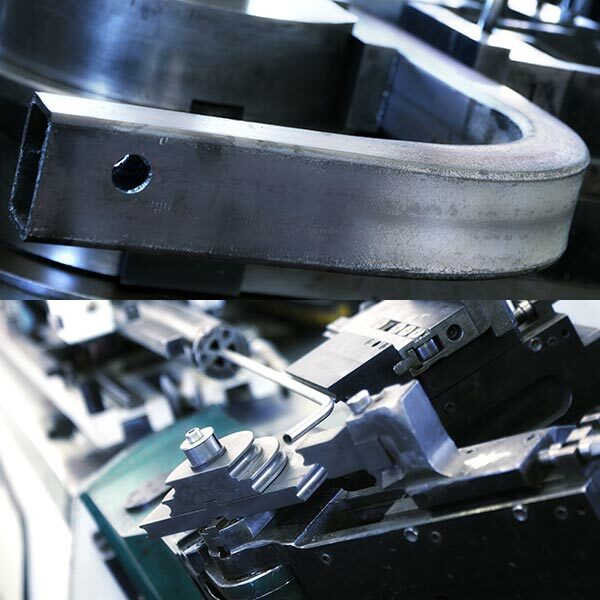 The work center is also used to produce in-house tools such as bending templates, chucks and control templates. In 2016, Tecnocurve added a CNC lathe to its machine fleet. The new lathe has 3 axes, CADCAM software, axial/radial turrets and a maximum turning length of 1200mm. 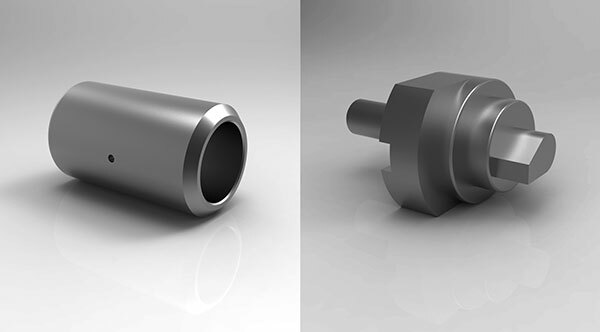 The machine allows the company to produce parts as bushes, hubs and many other parts for welded assemblies. Moreover, it enables the company to manufacture all the bending tools internally. The main competitive advantages are: higher precision and average lead-time reduction thanks to the possibility of producing internally everything is needed, without any supplier. Tecnocurve has a welding department for the production of simple and complex welded parts using MIG-MAG techniques, Tig and braze-welding. This can be done on metals such as carbon steel, stainless steel (AISI 304-316) and light alloys like aluminum and brass. We also weld to a perfect seal according to the standard UNI EN 303-5 and do arc welding with continuous filament, following the procedure in accordance with standard UNI EN ISO 3834-4:2006. On request, we can perform non-destructive testing with certified operators at the second level (visual inspection) in accordance with standard UNI EN ISO 9712:2012. 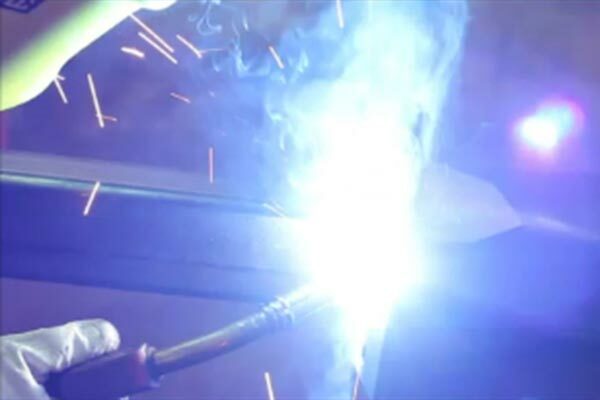 Tecnocurve ensures its clients the use of welders qualified according to European standard EN ISO 9606-1 (which replaces UNI EN 287-1), followed by an internal welding coordinator trained according to UNI EN ISO 14731:2007.